Since the first week in March, Schiff has been screaming at the top of his lungs that the American economy is going to fail and when it begins to fail, it is going to happen quickly. Forget Peter Schiff and the unprecedented banker meetings, The Federal Deposit Insurance Corporation is telling all who can read the English language that an economic collapse is upon us and quite clearly, the banks know it, the people know it and now now all of you should take notice. The following communique should serve as your red alert. The Federal Reserve is out of ideas, no more band-aids can keep the banks and the American economy afloat, and your money is still in these banks? At the top of page 11, of the Federal Deposit Insurance Corporation’s (FDIC) letter to JP Morgan, has revealed a 19 page letter sent to JP Morgan/CHASE Bank the Federal regulators reveal that they have “identified a deficiency” in JP Morgan’s wind-down plan which if not properly addressed could “pose serious adverse effects to the financial stability of the United States.” Straight from the government’s mouth. Here is a brochure distributed by a local Wyoming business to its employees about an upcoming martial law drill. It was obtained from a friend of the Common Sense show’s health reporter, Katy Whelan. The exercise will be Hazardous Material related with the main event in the Town of Sinclair. several fire trucks, law enforcement vehicles, as well as other support vehicles, and Life Flight. There will be (2) mock incidents, one in Sinclair, the other in Rawlins. contractors and others as they would normally do, on how to proceed. The Rawlins that is referenced is home to an old territorial prison, lies along railroad tracks and with minimal refurbishing, would make an ideal FEMA Camp. Thanks for your coverage last year of Jade Helm 15. Although I didn’t realize it then, we have a lot to be afraid of when it comes to Jade 2 or UWEX as they are calling the next phase of Jade Helm 15. I have a family member who is serving in Special Operations. We recently met with him for lunch and he was as white as a ghost. He told us that he is expected to “extract domestic terrorists and take them to an impromptu detention facility. 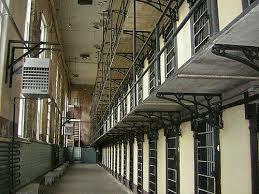 At the facility, they are expected to train foreign troops to take over the detention of the prisoners. This is what you wrote about last summer about the Army Reserves in Michigan. His best friend is training for guerrilla warfare inside of Texas. Is JH2 going to be what all of us were afraid was happening in Jade Helm 15? Starting at about 6:40 pm this evening, 4/8/16, I heard large planes overhead, unusual, as there’s no flight path here and the most we see in the skies is LifeFlight or chemtrail jets flying too high to hear. But the first time I emailed you, just before Jade Helm 15, it was to alert you to military aircraft flying over this rural community on the border of Mexico. This time it was 2 heavy bomber type aircraft with red/orange underbellies, headed slowly toward Nogales, SW. About 10 minutes later, back inside, I began hearing a loud rumble headed our way. Went outside to see 5 large black helicopters flying low and slow, going east, and far behind were 2 or 3 planes which seemed to be tracking them. Could be the original ones headed SW minutes earlier. Several more planes have gone over since then, but cloud cover got in the way. BTW, it doesn’t usually rain here this time of the year, but thanks to those industrious geo-engineers . . .
It’s 7:11 and I’m hearing another plane overhead. My concern is that all this election crap is obfuscating what’s really going on all around us. And I’m not seeing any reports from any alternative news sites like we did in the lead up to JadeHelm15. BTW, I think your foreboding about the Cleveland RNC convention is right on. It’s as depressed and rundown a city as when I left in 1980. The glittery new glass buildings (there goes another plane!) can’t hide the surrounding squalor of the mostly black and older immigrant neighborhoods and Muslims on the west side. If you look at a map of downtown Cleveland and Quicken Loans arena (as opposed do DNC’s Wells Fargo in Philadelphia!) you’ll see that they will be boxed in. No easy way out, lots of one way and dead-end streets. A lot of bottle necks, especially crossing the Cuyahoga (another plane going over now at 7:22). Very few nice, much less, ritzy hotels or restaurants. Is the Donald really going to stay at a Comfort Inn! So I started an investigation of how the final site was selected. Dallas was the other finalist and it didn’t even warrant a final visit, even though that city would have been a preferred choice by all counts. After reviewing the process and who was involved, I think that poor, 200-year old Cleveland, the Mistake on the Lake, has been set up as the trigger point for what will be called race riots. It’s a tinderbox of tension and they know it. (Another plane 7:29) Throw in the agents provocateurs and any spark will set it off. Then it will spread to other cities and martial law will be declared. End of election process, especially if, well, you can fill in your own grizzly scenario. DHS is the official security force. I have a sick feeling in the pit of my stomach about this, just as you do. And, they have 3 months to fan the flames. Oh, and Public Square is all torn up for renovation. They say it will be done by July, but from what I’ve seen on Google Earth, I’m not buying it. And that’s the hub of downtown. You have to drive around it to get anywhere. And the site looks more like a sandbox strewn with Tonka toys than the well-organized large construction projects I’ve seen. Trump, whether he’s aware of it or not (reason may not be able to break through his thick ego), is being used as the catalyst. He has stirred up the hornet’s nest. And when Cleveland explodes, as it has in the past, (another plane 7:32) other cities will follow (and yet another plane 7:47), and it’s not farfetched to see some version of a national lockdown activated. Obama stays in office and brings Hillary on board as his VP replacing Biden. I have seven such notifications in the past eight days. 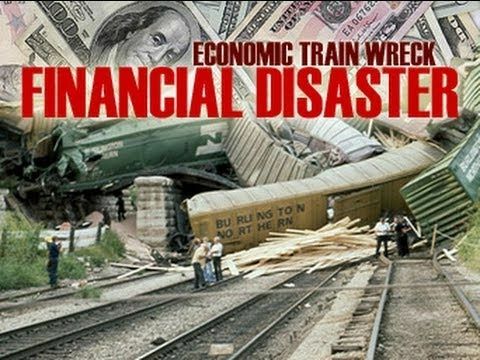 The government, through the FDIC, is telling us that the economy is on the verge of collapse, and now the troops are taking up position to impose the criminal elite’s will upon us. Is your money still in the bank?